It's been a week of good news for Valencia, continuing today. Valencia have confirmed that they have exercised the buy out option for Geoffrey Kondogbia. He signs a contract until 2022 with a buy out clause of €80 million. As previously reported Valencia will pay €7 million this summer and €6 million the next three summers. Interestingly, only two players in Valencia's history have cost more: Rodrigo and Negredo. Despite that, I don't think any Valencia fan who has followed this season will complain. The price seems a bargain given the quality he's showed us. The man has been compared favourably to an octopus, he always seems able to win back the ball from impossible positions, can chip in with important goals and has a lovely weighted pass. That wasn't the only official announcement today. Left back Alex Centelles has extended his contract by two years till 2021 with a prohibitively high release clause of €100 million. Centelles impressed in friendlies with the first team last summer and with question marks over Lato, many of us who've seen him feel that Centelles could be a great long term option as successor to Gaya. Speaking of Gaya, he also ended months of speculation this week by signing a new contract until 2023. His clause was due to fall to €30 million this summer. Pitifully low for a player who has enjoyed a good season and that would have put him well in range of teams like Juventus. The new release clause is €100 million and that gives the club plenty of negotiating room. Mateu Alemany's strategy is clear and that's to prepare a plan B in case the club does get hit by any transfer ban and that's to tie up existing talents with large release clauses so that the club can't lose key players for peanuts. Lastly, we're entering the summer silly season when the press for want of a better story start inventing links just to fill pages. One of them this week is that Alcacer will return to Valencia, as reported by Football Espana. I would take such stories with a pinch of salt unless more credible sources arrive. Given that and the close relationship between the two clubs (too close in my opinion) it's probable, even likely, that Barcelona will offer him to us. The question is how to respond if that happens? I suspect like a lot of Valencia fans my instinctive reaction to this is to let him rot and stay there. The guy abandoned us - in our hour of need when we were short of striking options - for another club. And not just any other club. An English, Italian or French club where he would have been starter would have been understandable but fourth choice at Tourist FC of Catalonia, a club he knows are a hated rival of ours annoys. I'm sure I'm not the only Valencia fan who has smirked at him flopping there while Rodrigo, a player who has stayed loyal to us, has taken Alcacer's place in the Spain squad. Weirdly, despite that, when I try and look at it objectively it's a move which could actually work. 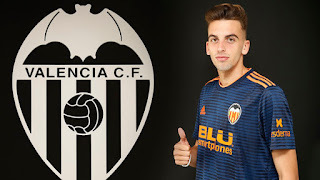 He knows the city and club, has played with creative players like Rodrigo, Mina, Soler and Parejo before (not to mention Gaya, Vezo and Lato) and improved in his seasons with us. Under Marcelino, as with a lot of players who flopped at other clubs, he could improve and fit the profile of a pacey striker. The issues would be twofold. The price would have to be low. €10 million would be ok. Maybe 12, but no more. Mostly, the issue would be the reaction from the fans. He'd be the target of boos and whistles in his early time and would have to work hard to regain trust. Polls of fans about his possible return have been overwhelmingly negative, with usually around 80% against. For the last reason I don't think it will happen, but I wouldn't totally bet against and am surprised to find myself open to the idea. What do you all think?